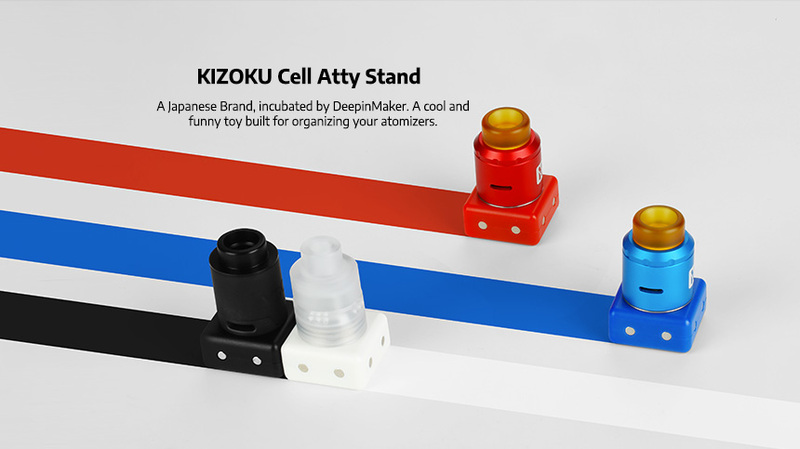 Introducing you a very practical vape gadgetCell Atty Stand, from Kizoku brand, incubated by DeepinMaker. The cell atty stand is delicately crafted by a Japanese designer, born to help vapers to organize atomizers in order. It is easy to separate and combine on any side, any color and length with magnetic connection. You can assemble them into different shapes what you like. Moreover, the Stand is not only for personal use but also ideal for display at store or exhibition. With 30mm length and 30mm width, it is compatible with maximum 30mm diameter atomizers. Are you facing that situation wife swearing on you to throw away all atties lay on table. Cell Atty Stand now helps indeed!